Every September, for the last few years, my girlfriends and I have trekked up to the Sierra Nevadas for a special camping trip in Sequoia National Park. Local hiking in Los Angeles is great and all, but I can't even begin to explain how refreshing it is to spend just one night under the stars in the Sierras. 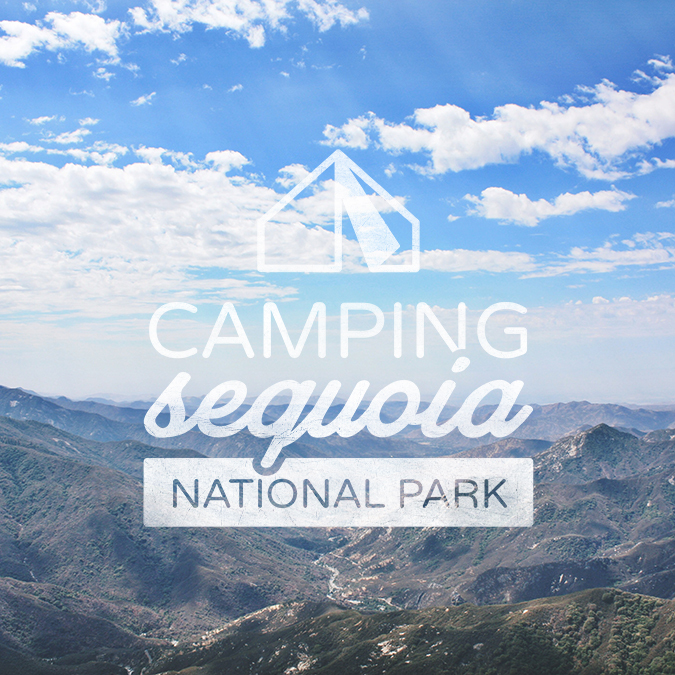 Camping in the Sequoias is perfect for just about any level of camper. You're secluded enough that you feel like you're in the wilderness, yet if you absolutely need to stock up on more firewood or you need to use a "real" toilet, you have the option. 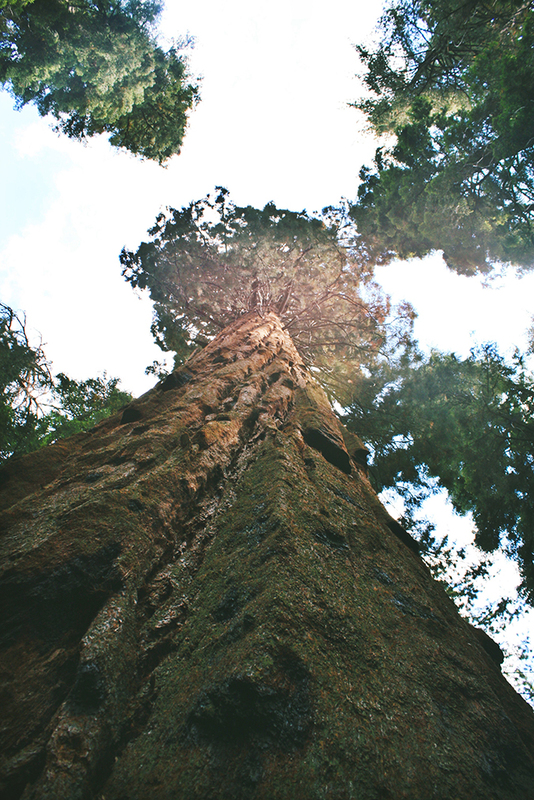 Sequoia National Park is home to the giant sequoia trees, which includes one of the largest trees on Earth, General Sherman. General Sherman grows within the Giant Forest, which includes five of the ten largest trees in the world! It really is a site to be seen! There are a number of heavily used trails within the Giant Forest that will weave you in and out of these beautiful trees - even some that you can walk and drive through! Of all the campsites throughout the park we've always stuck to Lodgepole. I like these campgrounds as the occupants are pretty mild mannered - it's a good mix of young families, happy groups of friends and experienced campers. This campsite is in close proximity to a few of my favorite trails as well and there is also a shuttle that occasionally picks up around the visitor center that will take you all throughout the park (just be aware of service dates - the shuttles were NOT in service the weekend we were up here so we had to rearrange our hiking schedule a bit). Tokopah Falls Trail is an easy trek along the Marble Fork of the Kaweah River. The falls are 1,200 feet high and are most impressive in the spring and early summer months - unfortunately, the last few times we've been up here, they've been pretty dry - still beautiful to look at nonetheless! Twin Lakes Trail is a rigorous, and somewhat monotonous (and still beautiful) hike through the Sierra pine forest until it reaches it's namesake glacial lakes. The trail begins just past the Tokopah Falls trail head. The trail is clearly outlined with rocks and immediately winds it's way up into the dense forest. I've never had the time to make the climb all the way to the Lakes - it's definitely a goal of mine. Every year - about halfway through our drive from LA to the Sequoias we find ourselves at a grocery store in Bakersfield stocking up on food supplies. Every year I say that there is no way we need to purchase as much grub as we have in our carts, it's only one day of camping after all, and still every year I am SO very glad we did stock up, because after a long day of hiking there is nothing in the world like a campfire cooked meal! The fire pits at Lodgepole come with metal grates over the top of them, making it super easy to grill up your food. We always make the juiciest burgers with delicious sides of veggies steamed in foil packets. My mouth is watering just thinking about it. Standing at 6,725 feet above sea level, you get some seriously beautiful views of the Great Western Divide. From the base of Moro Rock you will find another woodsy trail that will lead you out to Crescent Meadow. This is a moderate trail with much less foot traffic than many of the other trails you will find throughout the main park. Sugar Pine Trail is a rocky (and buggy) single track that connects Moro Rock to Crescent Meadow. Crescent Meadow is described by John Muir as the "Gem of The Sierras" and I have to agree with him. We decided at the very last minute to hike this trail, and I am so glad we did - it offers an entirely different atmosphere than most of the other trails we have done in throughout the park. It takes you from dense forest, to granite vista points, over small falls all the way to flat bright open meadows. I cannot say enough good things about all of my experiences camping up in Sequoia National Park. If you have the opportunity to spend time here, I highly recommend it. Booking a campsite is so simple and straight forward on the National Park Service website - just be sure to book in advance, as dates throughout the spring and summer fill up very quickly! This post only shows the tip of the iceberg of what Sequoia National Park has to offer - if you have more insight or tips, please share them! I love it up there, and I hope you will too.